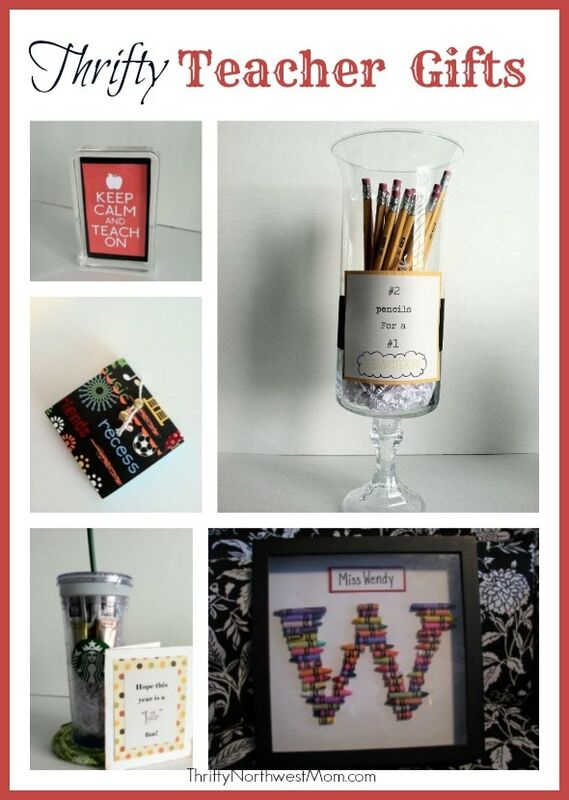 Teacher Appreciation Gifts & Freebies! Next week is Teacher Appreciation Week, a time to let all of those hard working teachers out there know that they are appreciated!! It is such a great week to really show them how grateful you are for the role they are playing in your children’s lives, helping them learn. Teacher appreciation day is May 8th, so if you want to focus on one day to let them know you appreciate them, that would be the day. One thing I love to do each year is to make a week out of it. My kids went to a small school for years, and there the PTA worked to do something special for teachers each day of the week, and I have carried that with me ever since, and followed the same basic idea. I like to ask the teachers for a favorite drink, favorite candy or treat, favorite color or sports team or flower, and a hobby. I then send the kids to school with a small gift for their teacher each week with something they like (ie if they say coffee I will send a $5 coffee card on Monday, and then if they like a certain candy bar, I will make a candy arrangement with that for them for Tuesday). Whatever you do to make your kids teachers feel appreciated will be wonderful I am sure. We have a list of some frugal ideas to help inspire you below. We did want to include some freebies available to teachers too. You could print out a list for your childs teacher, just to let them know what they can get this coming week too! Chick-fil-A (select locations) Teachers, educators and administrators can get a free Chick-fil-A sandwich on Tuesday at participating Chick-fil-A restaurants. Teacher ID required. Costco – teachers can get $60 in savings if they sign up for new membership on May 8th! Michaels – 15 percent discount on in-store purchases every day. Microsoft Store – Get Office 365 free! PBS – Free access to digital curriculum-based resources. As an educator myself for over 6 years, I know that teachers most of all would love a handwritten card letting them know that you appreciate them for the work they are doing with your child! It’s just a little token to show them that you remember them! And don’t forget those specialists – music, PE, Art teachers & if your child works with specialists like Speech Therapists, Occupational Therapists & Physical therapists – they would love a simple card if you can’t do something for everyone! They appreciate being acknowledged and recognized, too! 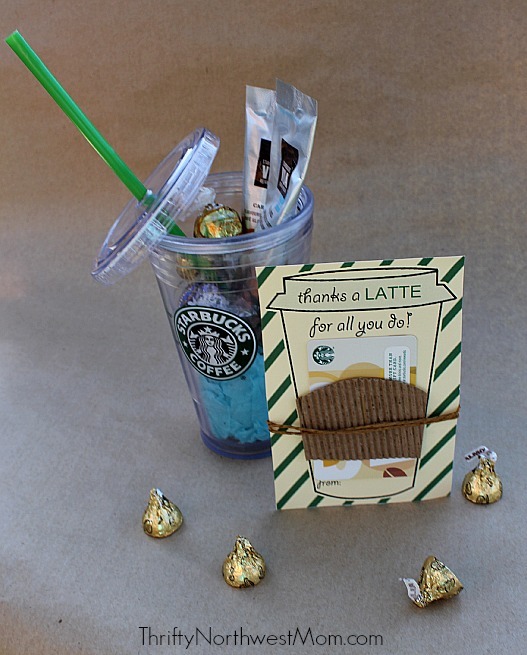 What are your favorite teacher appreciation gifts to give? Or to receive (if you’re a teacher)? I love teachers! They work hard every day to educate our kids and I think they deserve to be treated. I met a woman who said she did small gifts every day. She started with gum for the first day and each day they would get a bigger gift. I loved the idea of a daily gift. Monday we give the teachers a small plant and a note saying we are buying them a coffee or other drink of their choice the next day, Tues. they get the coffee and another note asking what they would like for lunch from Subway the next day, Wed. they get their Subway Sandwich, Thursday we will get them a dessert like a slice of cheesecake and a heartfelt card expressing our gratitude for all they do for our kid. Honestly I am missing something because the last few years, we have had Monday off. But you get the idea. We do this for the main teacher. On the last day, we get the specialists such as librarian, music, and PE teacher all dessert. I hope this helps give an idea.